For Photokina there were to my knowledge only 2 new products, a fluid head for wildlife photographers and a mini pocket tripod. 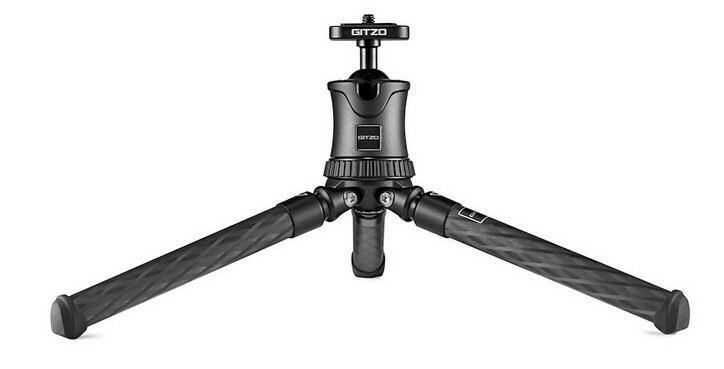 I am always looking for innovations when it comes to pocket tripods so I had a closer look at the new Gitzo Mini Traveler (affiliate link). It has a fancy mechanism for adjusting the leg angles (only 2 angles are available though) and is very light (265g incl. ballhead). The price is a bit steep with $199/199€ especially as the legs are not adjustable in terms of length and it does not come with a quick release plate either. I also don’t like that I cannot buy the legs separately but this is true for many small tripods. Considering the offerings from other manufacturers in this segment I find it hard to recommend unless you really dig the style and don’t mind the price. Leofoto is a chinese manufacturer of tripods and ballheads. Many people claimed these had good quality so I was glad to finally be able to check them out myself. Indeed – and I cannot say this for many of the other copy cat tripod manufacturers I visited – I actually see good quality, good ideas and some own and unique designs here. The “Ranger” tripod series is definetly the highlight for me, in terms of haptics I might actually prefer their leg locks to the Gitzo G/Ocean-locks, which have been the gold standard for me so far. They do lack the water and moisture seals of the later Gitzo and the RRS MKII tripods, but considering the much lower price this doesn’t spoil the game for me. I bought their Ranger LS-223C tripod with the EB-36 ballhead. Before I was looking on ebay for a used Baby Gitzo but this one actually fits my needs better. The ballhead comes with a cleverly designed upper rotation base which makes taking Panos an easy task and the locking lever for the ball has a short throw which I also like (45° between fully locked and fully unlocked). When I have thoroughly used it in the field I might consider writing a review. Leofoto also showed a square filter holder with magnetic filters. I really like the idea but the incompatibility to other filtersystems might be an issue for many that already have filters. They also do offer “empty” magnetic frames for other filters but I think these might not be compatible to the gaskets found on many NDs. 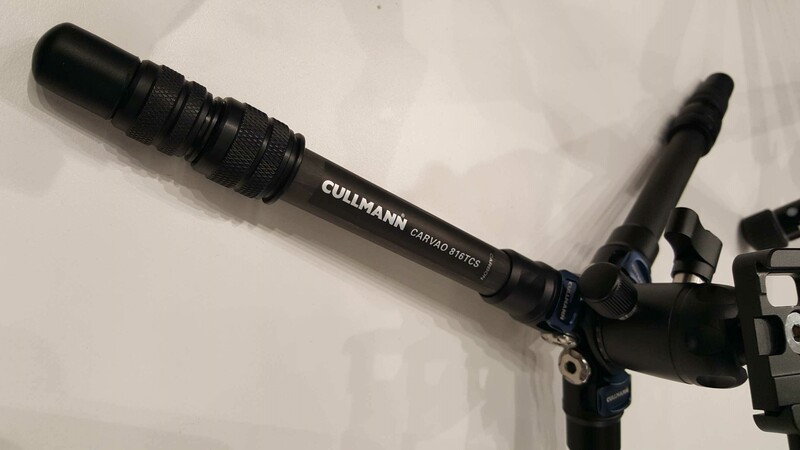 Cullmann is a german brand / distributor of camera gear. So far their tripods didn’t really catch my attention, but they did bring a nice small pocket tripod with 3 leg angles, 3 section legs and small arca swiss compatible clamp on the ballhead. The set will be available starting mid november for 89€ and I think this is more appealing than the new Gitzo offering. Phillip has decided on buying the Carvao 816TCS because of the small size and good quality. 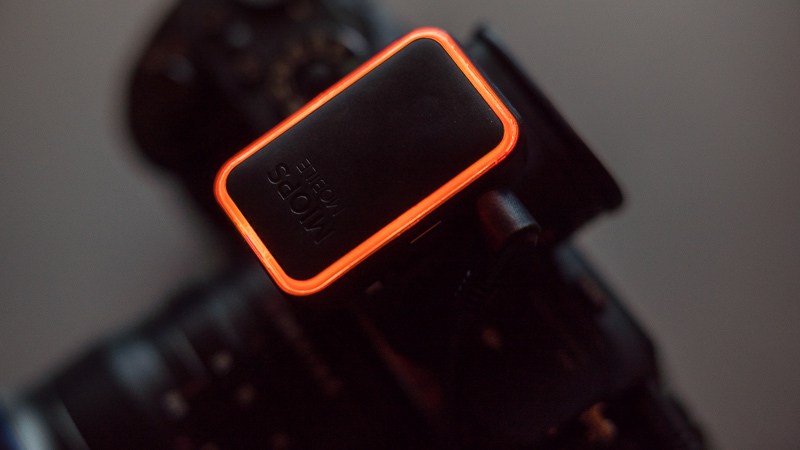 Miops is a company making different kinds of remote triggers for several camera systems. After my Alpine Labs Spark debacle (customs nightmare because of bad declaration, battery can neither be changed nor replaced, many connection issues) I will now try my luck with the Miops Mobile remote (affiliate link). It is slightly bigger but can be charged and the smartphone software looks more sophisticated. They also have a (bigger) standalone Smart remote (affiliate link) that will even work without smartphone and offers additional functionality like a lightning trap for those interestend in taking pictures of thunderstorms. After Lee with their Seven5 system and Haida with their 75mm system NiSi now joins this “small standard” with a 75mm system of their own. While I find it understandable (and the maximum supported filter diameter is now 67mm instead of 58mm) it is a bit unfortunate for people like me that are invested in their former 70mm system. Thinktank updated their famous Retrospective series and while weight is slightly lower and functionality has improved a bit I don’t like the new styling too much. 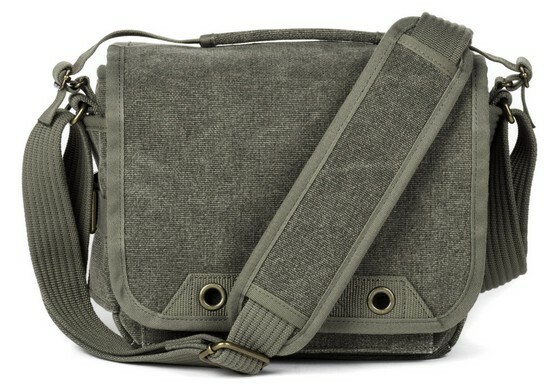 Nevertheless this company is still my preferred choice when it comes to shoulder bags (Retrospective series), sling bags (Turnstyle series) and backpacks (Rotation180 series, I also like PeakDesign Everyday backpack though). I would have loved to check out the new MKII tripods by RRS, I would have loved to talk to the Arca Swiss people and try to convince them making an even smaller P0 and I would have also been interested in checking out Kase filters, but these brands were unfortunately not present at Photokina. Hi, thank you for your detailed report, Bastian. Did you see Laowa and try its lens? I hear they were there as well. Yes, I am currently working on a Rolling-Review of the Laowa 10-18mm 4.5-5.6 which will be published soon. Does the Miops offer the ability to change the focus point? I.e to automate focus stacking. No, neither Smart Trigger nor Mobile Remote offer this feature. Looking for a light travel tripod. Are the Leofoto looking any good? Any advice? If you don’t want to spend money for Gitzo and RRS they look like a pretty good option. If you need really light you might want to have a look at LS-225C + EB-36. If you don’t mind carrying a bit more and bigger have a look at LS-284C + EB-36. The Gitzo head GHF2W looks pretty well though. Did they have this at photokina or the gimbal one? The GHF2W is the one. But I am not an expert on these things so there is nothing useful I could tell you about it. Thank you Bastian. For me it is useful to know they had it at Photokina. I hope I’ll see it here then, at Vistek ProFusion, in a couple of weeks. Hope they have one for sale, although I need to tinker a bit my traveler. At Photokina you could not buy anything directly, but at least they gave out 15% discount codes for their online shop which also worked for pre order products. Thank you for the report Bastian. Did you see Capsule360 from MIOPS? Hello Bastian, this Leophoto tripod looks very interesting. How much weight did you put on it ? So far about 2 kg, but I wouldn’t mind putting more on it. The CARVAO 816TCS does look like a good alternative to a RRS table top tripod. Is there an online english dealer that ships internationally? We got told it will be available starting in November but it still isn’t. I think it hasn’t been released yet. Hello, any feedback after couple months use of the small tripods, the Cullmann and the Leofoto ? Is the quality up to what you both felt it would be ? I am quite happy with the Cullman. It is small yet very stable and that is just what I expected from it. Same goes for the small Leofoto Ranger and its ballhead. But I am only saying positive things about their Ranger series. They also have cheaper tripods I doubt are actually that good.